A total of 36 telecom fraudsters have been returned from the Philippines to southern China's Shenzhen Wednesday. The suspects are behind more than 700 fraud cases across China involving over 18 million yuan (2.6 million U.S. dollars), according to the police. 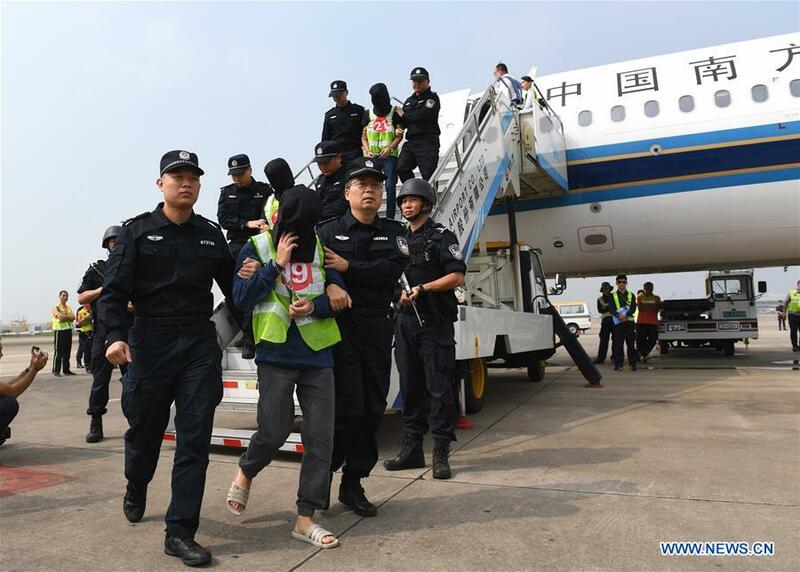 Among the repatriated, 22 have been handed over to Guangdong police, and the other 14 are being sent to northeast China's Jilin Province for further investigation. Police said the suspects, based in the Philippines, used e-mails and social networking software to trick victims into purchasing assigned products online using their own money to boost order volumes. Then the suspects would wire them the order amounts together with some rewards to establish trust, before inducing them to invest more, but later refused to pay them back using various reasons. Most victims were young people such as college students, some being swindled out of hundreds of thousands of yuan, according to the police.